Youthful Skin with Estee Lauder | Fall 2016 New Launches + Review and Faves! Hello lovelies! Last week I was invited to the fall media preview for Estee Lauder and Aerin – so exciting! Estee Lauder is one of my all time favourite beauty brands, especially for their luxurious skincare collections. (I was pretty much raised on it because my mom is a huge fan of them and has most of their products, hehe.) The autumn 2016 Estee Lauder collection introduces a gorgeous new line of anti-aging and hydrating products, as well as a revoltionary new cushion stick foundation, and an alluring new addition to the Modern Muse fragrance line. Keep reading for a look at the products, as well as my thoughts, a few of my Estee Lauder Faves! 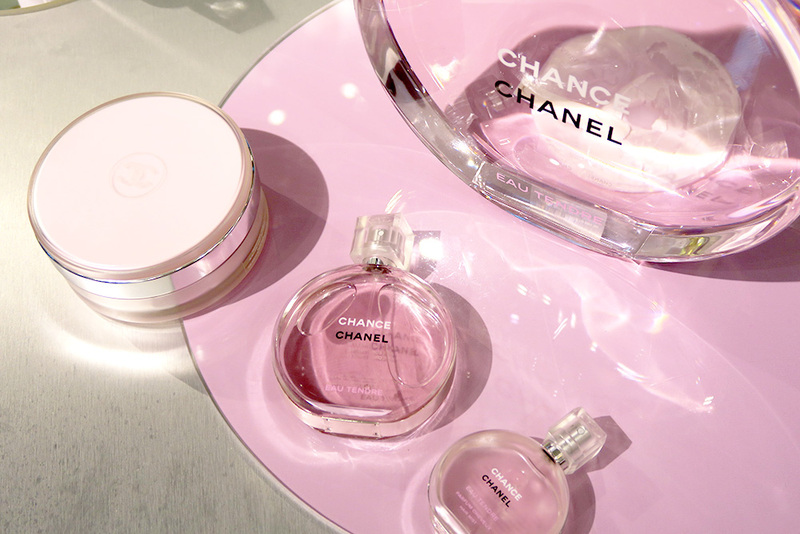 #TakeYourChance with Chanel – Toronto Yorkdale Event! Chanel is one of my all time favourite beauty and fragrance brands – it just exudes an aura of luxury and charm. Chanel No5 Eau Premiere is probably my signature scent! It’s light and seductive, with notes of jasmine flowers and tonka beans. The fragrance itself is both timeless and recognizable, and I’ve always received compliments when wearing it. Chanel has a number of iconic perfumes, and I’m here to share one of their most popular fragrances. Last week, I was lucky enough to attend the Chanel #TakeYourChance event held at the Hudson’s Bay in Yorkdale Mall in celebration of the Chanel Chance fragrance. The line includes 4 different scents : Chance Original, Chance Eau Fraiche, Chance Eau Tendre and Chance Eau Vive. Each bottle was a different colour – yellow, green, pink, and beige. It’s your chance . . . TAKE IT! A decidedly young scent for those who dare to dream. A light, subtly sensual fragrance, filled with vitality and energy, evolves from one moment to the next, each wholly unique.